The next time you stare up at the night sky, those little glinting white specs you see might not be what you think. In an effort to make the Internet more accessible to humans worldwide, a group of mad scientist entrepreneurs want to launch hundreds of companion cube-like satellites into space. 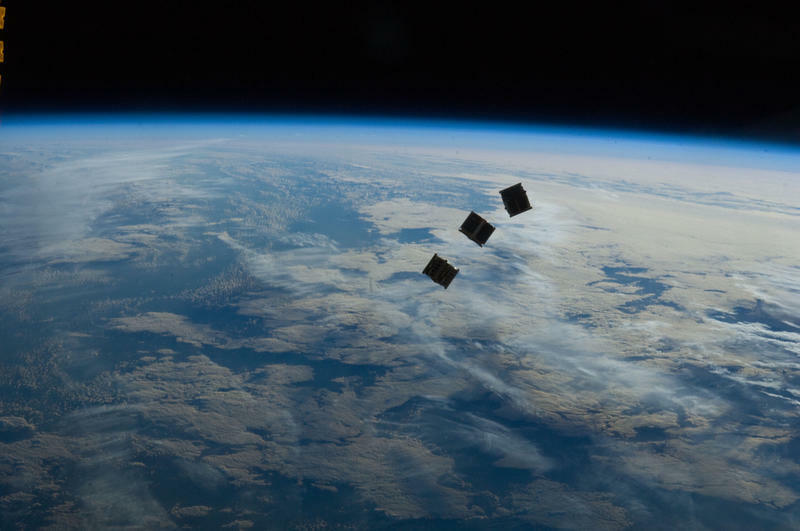 Called Cubesats, those little satellites would then beam the Internet from orbit to Earth down below, free of charge. But there's a catch. As utopian as a blanket of free Internet might seem, the project, which is being called Outernet, doesn't actually provide complete access to the Web. Instead, the constellation of nano satellites will transmit a selection of "high-quality" sites down to people around the world, kind of like receiving a TV broadcast. The goal is to provide news and educational information to folks who wouldn't normally have access to such content. Specific sites haven't yet been knighted for the Outernet service, but the plan is to actually crowdsource which sites should make the cut. I vote for TechnoBuffalo, but I admit I'm a little biased. Not every single site out there can be included, so the Outernet team will be in control of what people on Earth see; not necessarily of the content that gets posted, but of certain websites that fit a specific criteria. Wikipedia, Ubuntu and OpenStreetMap are among the websites mentioned on a preliminary list. Outernet is seed-funded as part of the nonprofit Media Development Investment Fund (MDIF), and includes a physicist, graphic designer,a space expert and a former FCC lawyer as part of its team. Right now, the group is asking for donations—in the tens of millions of dollars—in order to get the project off the ground. The company is hoping to send hundreds of Cubesats into orbit, so it'll sure take a lot to get things moving along. MDIF project lead, Syed Karem, said the bulk rate for launching micro satellites is about $57 million for 13,000kg—certainly not pocket change. Prototypes are expected to be developed by June, with transmission testing expected in September. If all goes according to plan, an official launch is tentatively scheduled for the middle of next year. The intent to close the knowledge gap with space Internet isn't exactly a new concept, and it likely isn't a very welcome one among countries with repressive Web policies. But, who knows, maybe the constellations our grandkids see won't actually be stars millions of light years away, but tiny Wi-Fi satellites.